Is there really ever a weekend when you live on a farm? Certainly not in the sense of two days off at the end of your work week, but on the other hand, we never suffer from a case of the “Mondays”, so there’s that! The past two days here have been low on productivity with Saturdays highs reaching the mid 90’s and the heat index reaching well into the 100’s (not feasible with two babes that must follow us everywhere.) 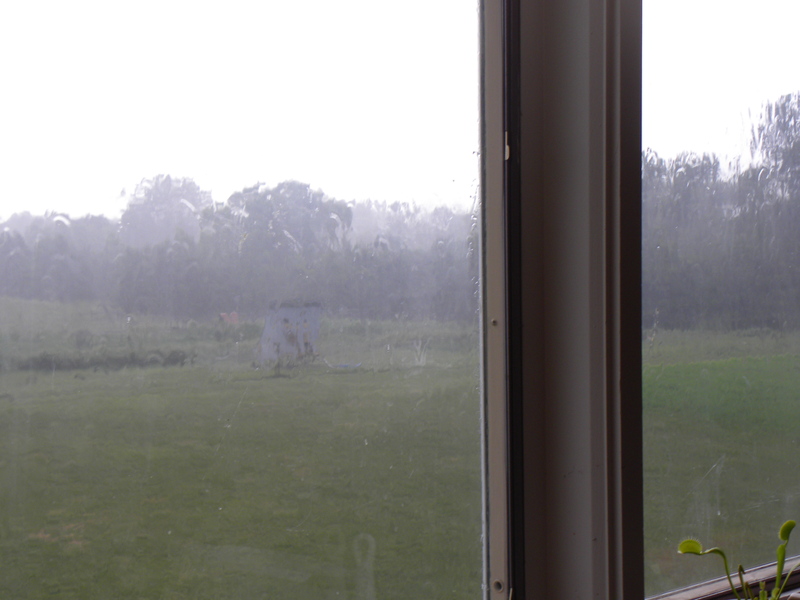 Sunday brought a, much needed, downpour that chased us all inside. The view out of our kitchen window. 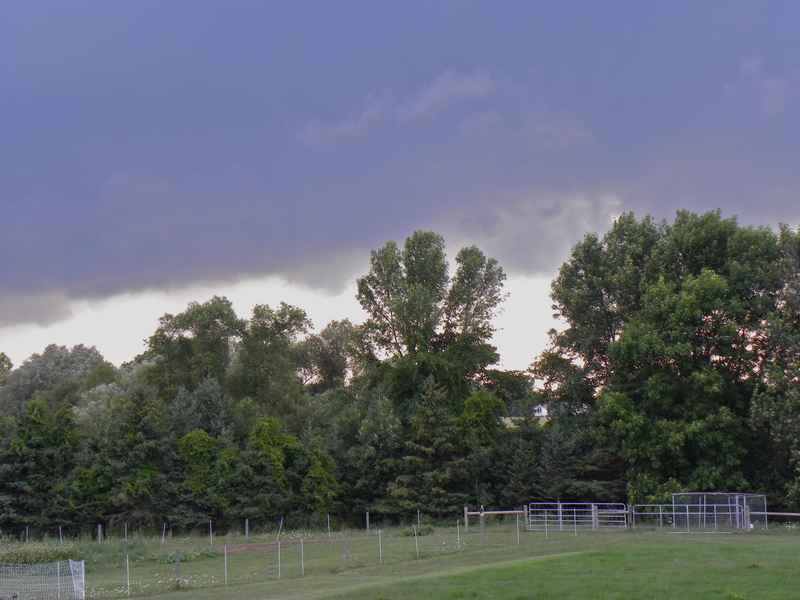 We did manage to move the mobile chicken coop to a new swath of pasture, which ended up taking two extra people and two extra hours and ended in us darting for the house before the sky opened up. Because really, who wants to be handling electronet fencing in a thunderstorm? It is all quite hilarious looking back on it now, possibly even post worthy. I also harvested some produce, the most notable being 2 pounds of beans destined for pickling and was able to put up 8 jars of pesto. Outside of those accomplishments, and the usual daily chores, nothing else got done. Waiting for a trim and pickling. 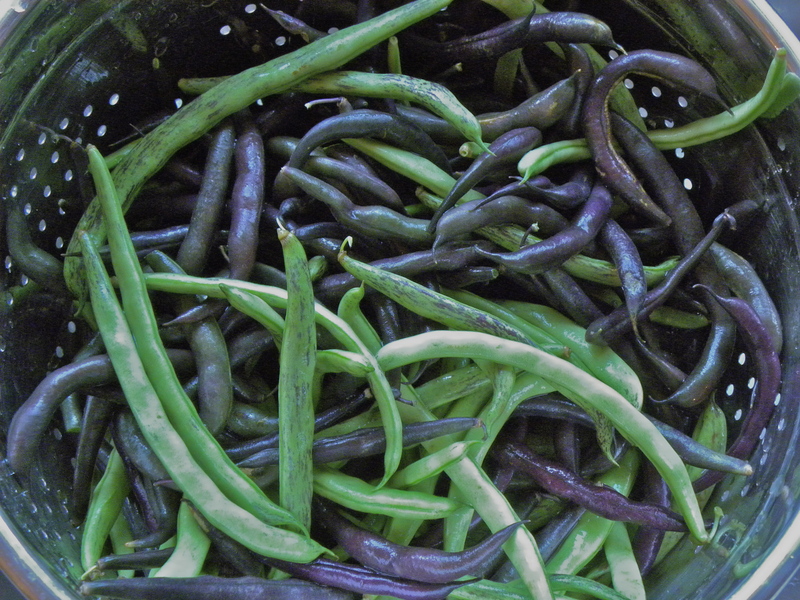 Make and can Dilly Beans. Harvest some lemon balm, parsley, basil, cilantro, sage, thyme, tarragon, and marjoram. Dry, freeze or otherwise process said herbs. Weed, weed, and more weeding of vegetable garden. Problem here is, by the time we get done weeding the entire garden the weeds are growing back in where we started. Create some kind of support for the sweet corn. Tend slicing and cherry tomatoes – prune, snip, re-tie/support. Come up with a way to trellis paste tomatoes. These have gotten quite out of hand and we are at a loss for a good way to support them that also allows us to easily harvest the ripe fruit. Try to train pole beans back onto their respective poles. I have never had a problem with this in the past but this year they just seem to have a mind of their own. Pick and trim swiss chard. Freeze what chard we do not use this week. Pick lettuce, beets, eggplant, peppers, squash, possibly fingerling potatoes. Plant fall crops. We are kind of late with this but I would like to throw, at least, some peas and spinach in. Weed asparagus and rhubarb bed. Fence in pine trees in front pasture and move sheep into said pasture. Move Lilac out of front pasture, break-up middle pasture and move her into first section. Move pigs to other end of, what will become, the garlic patch. Lay down manure to “bake” in sun on the section pigs just rooted. Muck out stalls and big section of barn. Pick up peaches from local orchard. Jam, can and freeze peaches. Pick rest of boysenberries off bush by barn and process. Name lambs and send in registration for all sheep. Find a Ram that fits all of our criteria and set up a plan for getting him here by October 1st, to use for breeding in November. Order hive and have beekeeper relocate the bees that have taken up residence in barn wall. Place grass-fed beef order for winter. Hopefully this will be the last time and next year we will be running our own steers. 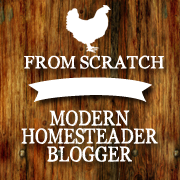 Go over budget and accounting for farm books. Work out plan for winter food storage. Well, what do you think? Can we get it all done by next Sunday night? What is on your “To Do” list this week?